Is it possible to use Process Builder or Workflow in auto creating a task after an email is sent related to a record? The email (with a specific Subject filter) will be sent from (A) within Salesforce or (B) Gmail/Outlook but will be recorded in the Activity History. I tried to create a WR but it didn't run after I sent an email. hello! Just to understand, you want the Process Builder to check if an email was created, and then create a task. Are you wanting to attach the task to the same record as the email? Hi Jessie. Yes, I would like the Task to be auto created after a specific email is sent. And yes, I need to attach the Task to the same Custom Object as the email. Thanks! With Process Builders and workflows you can trigger to send tasks based on fields being a certain value or a formula referencing a certain field. Unfortunately, at this time it is not possilbe to create a criteria based on an email being sent. If you are looking to create a workflow or process builder that based on a specific criteria then sends an email alert followed by a task that is possible. 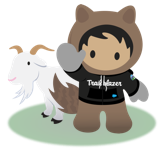 Your specific scenario of triggering off a specific subject filter especially with instances of the email being outside of the Salesforce system (Gmail/Outlook) isn't possible. Hi Ken. Although some emails will be sent outside the Salesforcce system, we will be uploading them into the Salesforce record. When we "upload" those emails as a Task, can that be considered as being "created" and thus trigger a Task creation? That probably doesn't help you, but maybe you are lucky enough to have a developer! Thanks for the link, Jessie! We unfortuntaley do not have a developer. I also just bookmarked this link (https://developer.salesforce.com/events/webinars/apex-for-admins-in-30-mins?d=70130000000hUks) (same person in your link). Thanks for pointing me in the right direction. Hi Jessie, I will definitely reach out to you as I have zero idea as to what to do next. PS. I'm already digging through unhandledsunshine.com (https://unhandledsunshine.com/contributors/) and have bookmarked RAD Women (http://radwomen.org/). You are an inspiration!